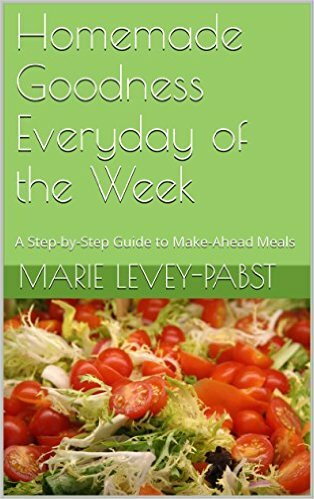 I’m excited and proud to share that I just published my e-book entitled Homemade Goodness Everyday of the Week: A Step-by-Step Guide to Make-Ahead Meals. Writing this book has been a welcome challenge and a true joy as I got to stretch my writing muscles and collaborate with some fantastic family members as they edited and commented on my work. I’ve learned so much through this process and I’m already drafting outlines for the next book! I hope that some of you lovely loyal blog readers find this book helpful on your own journey towards balancing work, family, and household responsibilities! Thanks, as always, for your support!